House members say one anonymous senator has over 80 bill files opened under rules that encourage lawmakers to front-load requests. (Chris Detrick | Tribune file photo) Utah Gov. Gary Herbert speaks to the state Senate March 10, 2017. 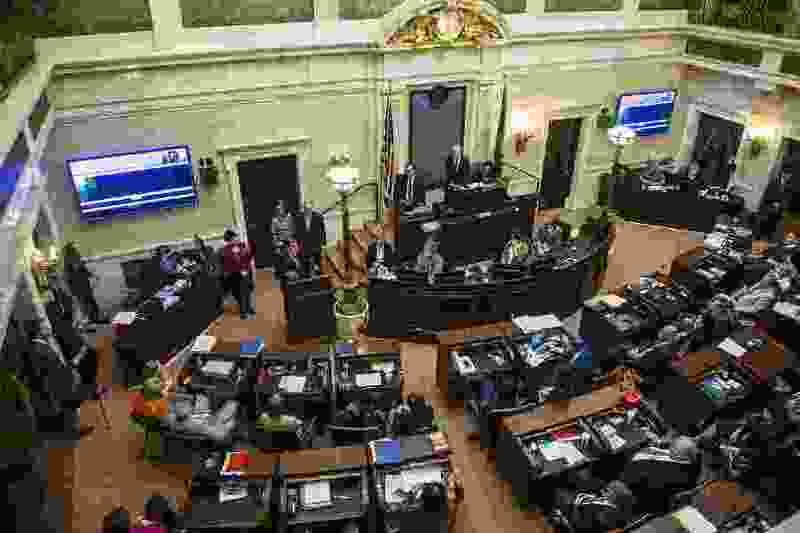 Utah has one of the shorter legislative sessions in the country, but that hasn’t stopped lawmakers from pitching more than 1,000 bills ahead of its 45-day session that starts in January, with plenty of time to add more. Lawmakers don’t meet on weekends, shortening their time to debate and vote on bills to just over 30 working days in an annual session. But for the second straight year they have set a record with the number of proposals submitted by late-October. Lawmakers have made so many bill requests, in fact, that legislative leaders are pondering rule changes aimed at prodding prolific members to rethink their approach. The Legislature has raised the issue before through the years but has never figured out how to curb the number of bill files, said Senate President Wayne Niederhauser, R-Sandy. Under existing rules, lawmakers pile in requests long before the session begins in January under a kind of first-come, first-served policy. Each legislator gets three so-called “priority bills” that drafting attorneys handle first. Attorneys then move to nonpriority bills, typically based on the date they were requested, starting in May. That encourages lawmakers to reserve spots early so their bills are first in that line. 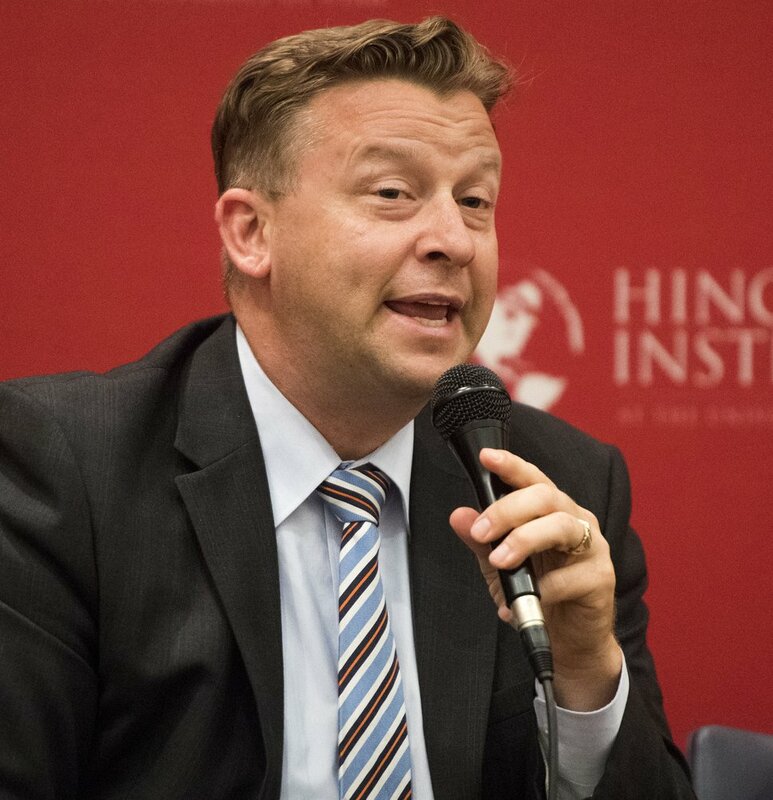 “When bills are prioritized for drafting based on being opened early, there’s a motivation generally speaking to get a lot of bill files opened early,” said Sen. Curt Bramble, R-Provo. 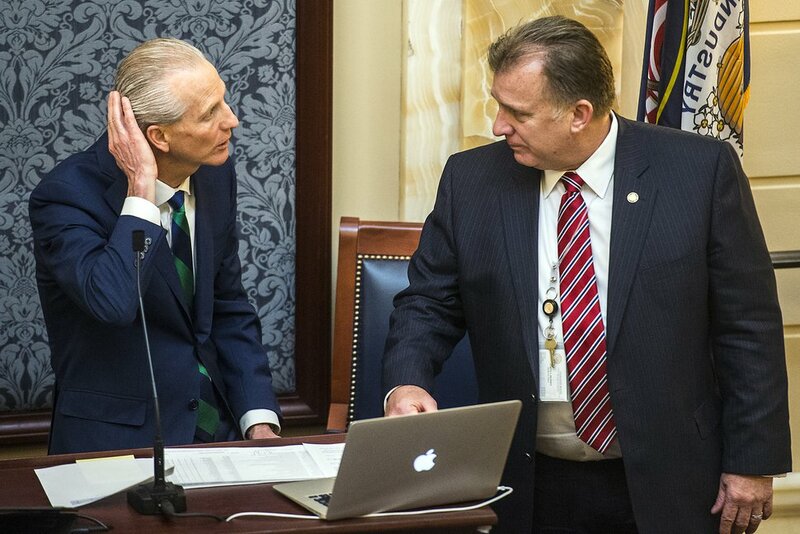 (Chris Detrick | Tribune file photo) Senate President Wayne L. Niederhauser, left, talks with Sen. Curt Bramble on the floor of the Utah Senate, March 9, 2017. One senator asked legislative attorneys who write and analyze bills to create more than 80 measures that could become law, according to members of the House who said the senator is responsible for about one in every four proposals so far in the Senate. The Salt Lake Tribune wasn’t able to verify the identity of the senator in question or confirm the number of bill requests because rules allow lawmakers to keep their ideas secret before the session. Sens. Bramble and Todd Weiler, R-Woods Cross, both among the most prolific bill sponsors, each denied requesting 80-plus bill files. 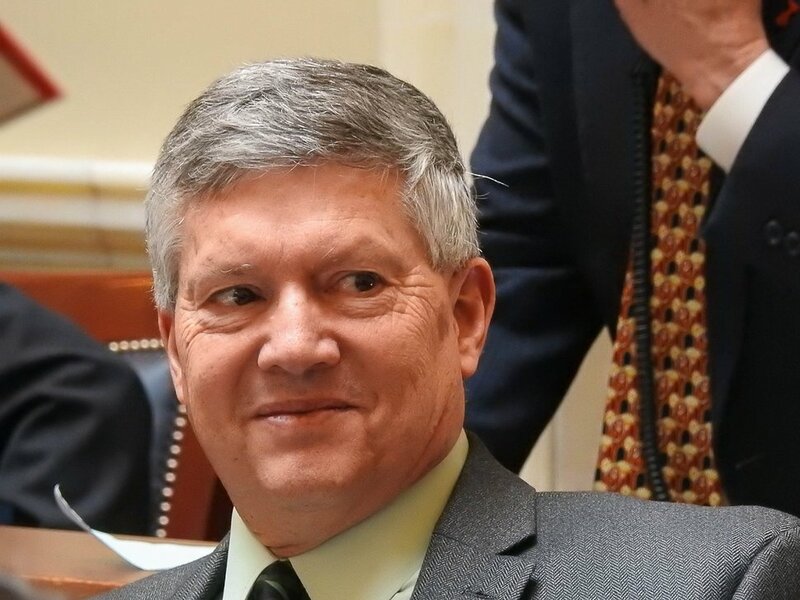 Sen. Wayne Harper, R-Taylorsville, did not return a request for comment. Harper currently is the leader for public bill requests for the upcoming session, with 18. Bramble is a close second, 17, followed by Weiler, 15, and Sen. Daniel Thatcher, R-West Valley City, 14. Harper topped the list last legislative session by carrying 26 bills. Bramble had 21, Weiler, 19 and Thatcher, 13. House Speaker Greg Hughes, R-Draper, said leaders may try giving lawmakers two extra priority bills in the hope that they think hard about what’s important to them before clogging the work pipeline for the 20 attorneys in the Office of Legislative Research and General Counsel. But lawmakers are resisting setting a limit on the number of bill files each member can open, fearing it would be an unconstitutional infringement on the ability of a lawmaker to represent his or her district. Some say leadership doesn’t need to change the rules, and that important bills have a way of making it above the clutter and passing each session.